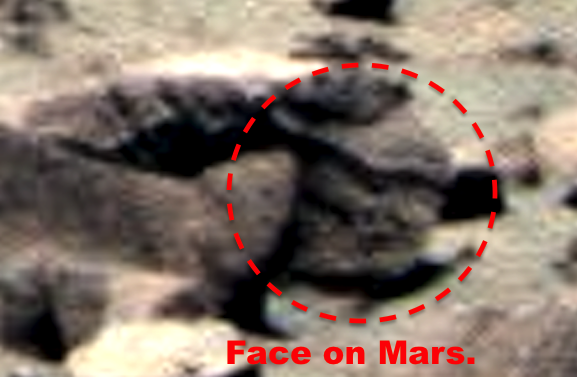 UFO SIGHTINGS DAILY: Alien Faces That Are Proof Humans Came From Mars, Aug 2016, UFO Sighting News. 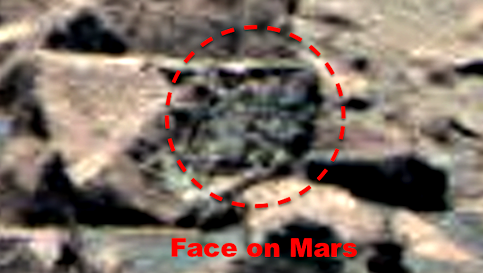 Alien Faces That Are Proof Humans Came From Mars, Aug 2016, UFO Sighting News. 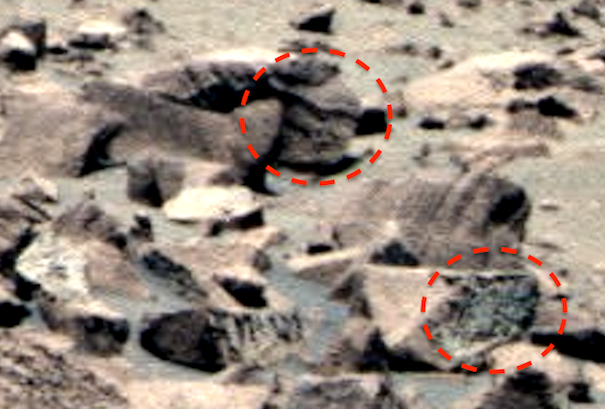 I found several faces and some other structures in a Mars photo today. The faces are both different styles, but similar species that look us. The face above is a side profile that is looking to the left...its harder to see but its there. The face below is much easier because its more 3 dimensional, with a beard, mustache long nose, chubby cheeks, eyes like our own and a hat of some sort. 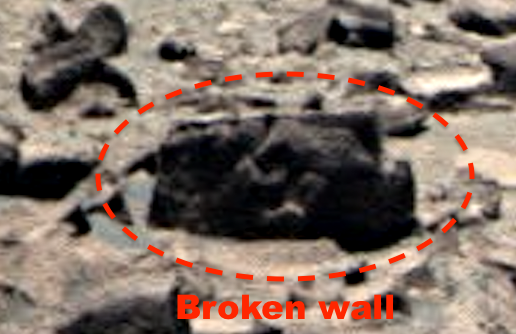 There is also a thick wall with strange artistic carvings on it, and also a metal instrument sticking out of the ground. 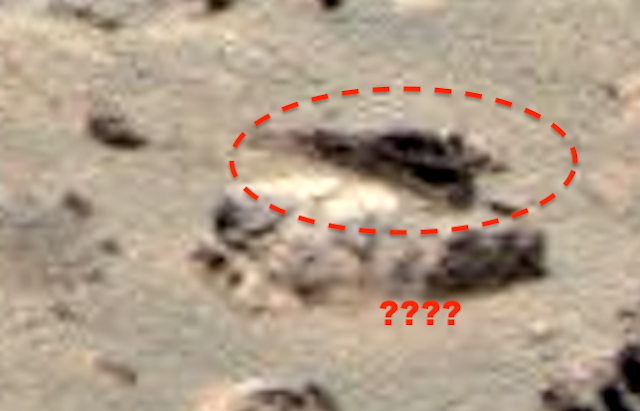 I believe this is proof that humanity long ago came from Mars, when this disaster destroyed the Mars surface...and what few survivors there were scattered across space and a few chose to live on Earth. Which we evolved from.